Have you ever found something like this on your grill? 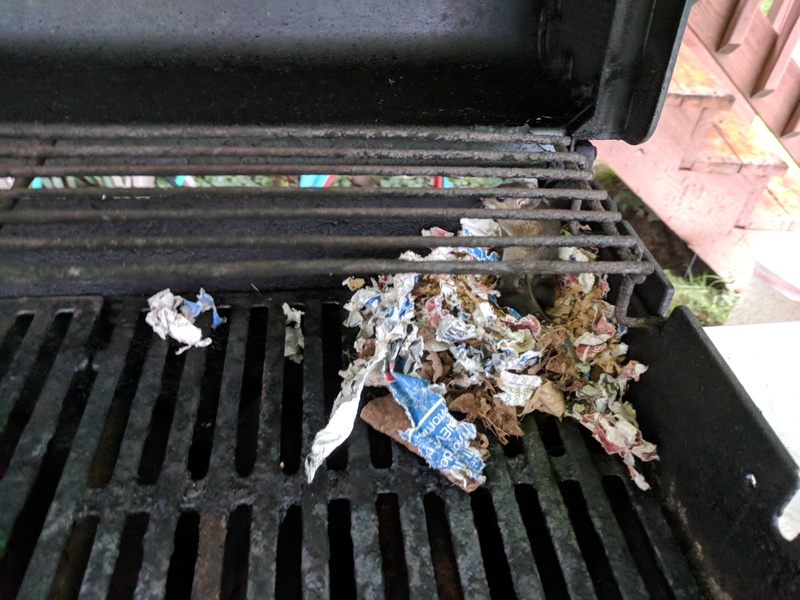 Somehow, even with the lid closed and the cover on, the mouse had ripped off bits of my charcoal bag to climb into here and make a nest. 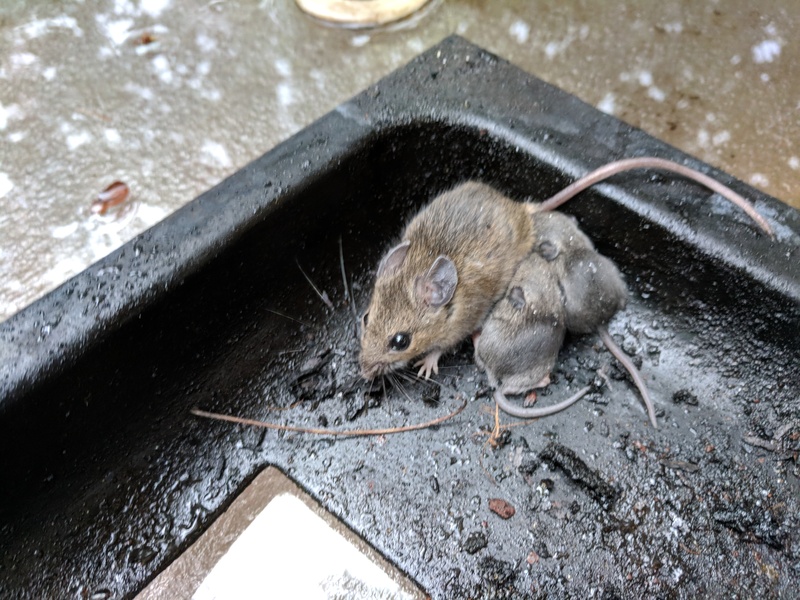 And it also had babies. I dropped them off in the woods so I could get to grilling some steaks. But I’m still in shock it was able to do so much through a closed, covered grill.